It was around 4 pm in Mumbai. My Mom and Dad were accompanying me (Tarun) and my sister (Trisha). We are the other two co-founders of ATC. We were playing the last round in IIFL Wealth 3rd Mumbai Open International Chess Tournament. I secured 6th rank and Trisha topper in under 2000 category. This is one of the richest tournament of the world. We were representing Ireland. 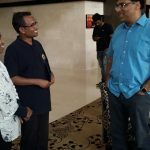 While we were battling out the last round, the other two co-founders of ATC (my Mom Nandita and Dad Dayanand) cherished a memorable moment of our lives – that is to spend about 10 minutes with Vishy – India’s first Grand Master. These photos were taken in Sofitel Mumbai when they met Grand Master Vishy Anand for about 10 minutes. 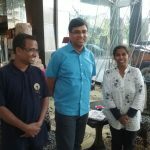 They discussed about ATC and the unique model that are running to ensure every chess player has equal opportunity to learn chess by practice. 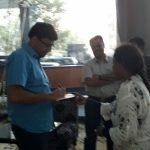 Anand was impressed and wished us all the best. No doubt, we are jealous. We are happy too. But more than all, we are proud to be from ATC. 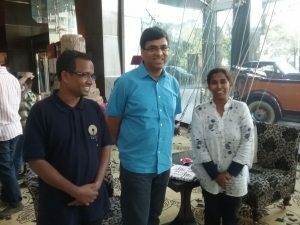 My dad and mom spoke about ATC with Vishy. They have also asked the Grand Master to visit us in Ireland, for which he said he may surely consider if we invite him. True Champions like Vishy Anand are legends who has the will power to fight back any time in their lives. Even at this age, Vishy has just crushed Magnus Carlsen recently and created buzzing news around the world. 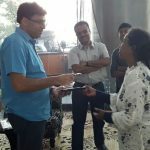 We wish all ATC players to get inspired by the personality of Vishy Anand and master his skills and take chess to newer heights. 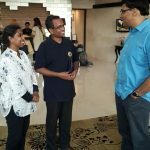 This article is written by Tarun Kanyamarala (Arena Grand Master), Co-founder of AnyTimeChess (ATC). Well done Tarun and Trisha. 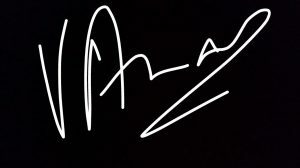 The day is not so far when people will be waiting for your autoghaphs. As a ATC player we will be happy to see your continuous best performances. Keep it up and good luck. Thank you and practice with you helped Trisha alot! Gr8 Tarun n ATC, as u r inspired by Vishy Sir, Honi Inspired by u. Thnks keep blooming in chess. Your Uncle Father of Honi. Superb concept ATC. 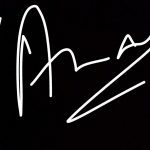 ..wish u all the luck on coming years ….